The most a creditor can garnish from your wages is 25% of your net earnings (after all deductions like taxes and health insurance are taken out) from each paycheck. Or if you are classified as head-of-household status on your taxes, then you can get that amount down to 10% of net earnings. But there is a bit more to it than just this. The only way that a creditor can garnish your wages is if they first get a judgment against you. The only way a judgment can be handed down against you is there was a hearing on the matter in a court of law. And the only way there could have been a hearing is if you were first served with a summons. So the order of events (after the creditor files suit against you for breach of contract) is as follows: 1) you are served with a summons (which usually consists of a copy of the complaint against you, a copy of the original contract between you and the creditor, and the summons page itself which lists the court date, time, and place); 2) a hearing is held at which you have the opportunity to appear and make an argument in your defense; 3) assuming that the creditor receives a judgment in its favor, they can then move towards a wage garnishment (or a bank levy). Unless these steps are taken first, the creditor cannot garnish your wages. But let’s assume that you are currently being garnished in the state of Missouri. In that case, they can only take up to 25% of the net (or 10% if head-of-household). Once this becomes the state of affairs, your options are limited to two main things: you can either pay the debt in full, or file for bankruptcy. A St. Louis bankruptcy will stop the garnishment immediately. It will also take care of the underlying debt itself (in most cases, simply discharging the remainder owed). And if you have other unsecured debts (such as credit cards, medical bills, payday loans, etc), they can be knocked out in a St. Louis Chapter 7 bankruptcy, or can be partially discharged in a St. Louis Chapter 13 bankruptcy. Either way, it is always a good idea to fully understand your options. 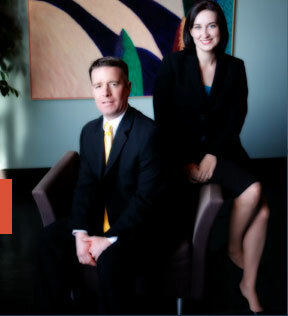 The affordable St. Louis bankruptcy attorneys at Brinkman & Alter, LLC have been helping people resolve their garnishment issues for over ten (10) years. Our goal is to put you back on the right track, and get you the fresh start / clean slate that you deserve.